Horbachewski’s donates $30,000 to Distress Centre! On March 26, 2014 Lee Horbachewski, author of “A Quiet Strong Voice: A Voice of Hope Amidst Depression, Anxiety, and Suicidal Thoughts” spoke to friends and supporters at Self Connection Books. 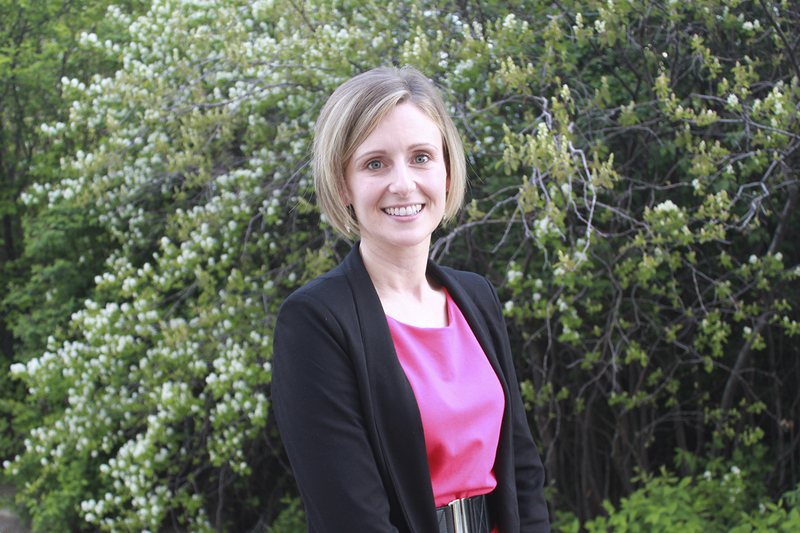 Lee and her husband Neil are major donors and supporters of the Distress Centre, but long before Lee was a donor she was a caller, looking for support and someone to talk to. Her book discusses her torturous journey through depression, anxiety and multiple suicide attempts, while also providing a tool-box of questions, steps and resources to help those suffering from depression find hope and peace. 50% of the proceeds from book sales benefit the Distress Centre and allow us to continue to provide essential services to those in crisis, like Lee was in 2004. “I will always support Distress Centre,” Lee said. 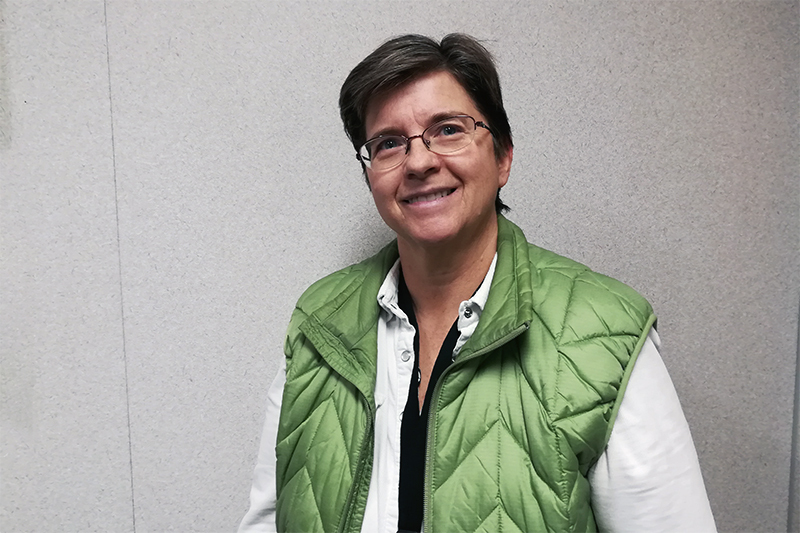 “Their 24-hour crisis line saved my life, for that I am eternally grateful.” Lee always encourages others to volunteer or donate to Distress Centre. 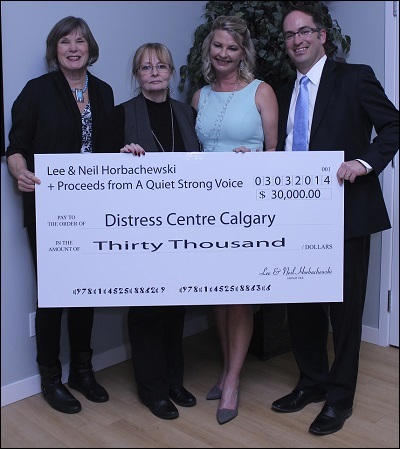 Thank you Lee and Neil Horbachewski for your continued support of Distress Centre. 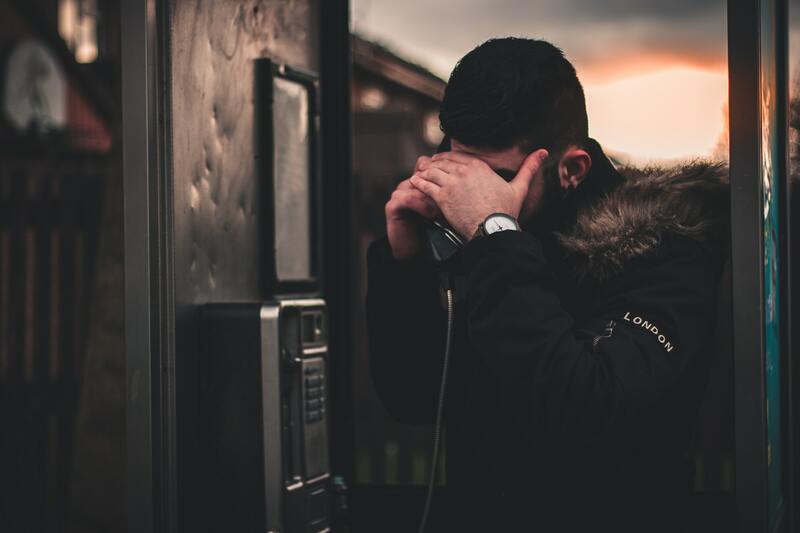 Your support ensures our crisis centre is available 24-hours a day, 365 days of the year and allows us to provide free counselling and resources to all Calgarians in crisis.